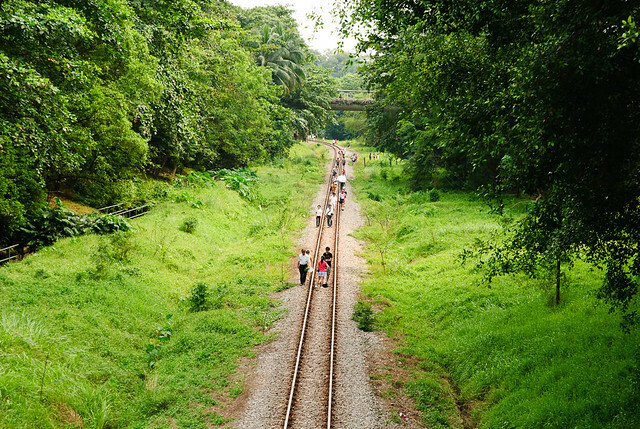 A view of the railway tracks from an overhead bridge near Blk 10, Ghim Moh Road. After a few false tries, we finally got back down to the tracks. 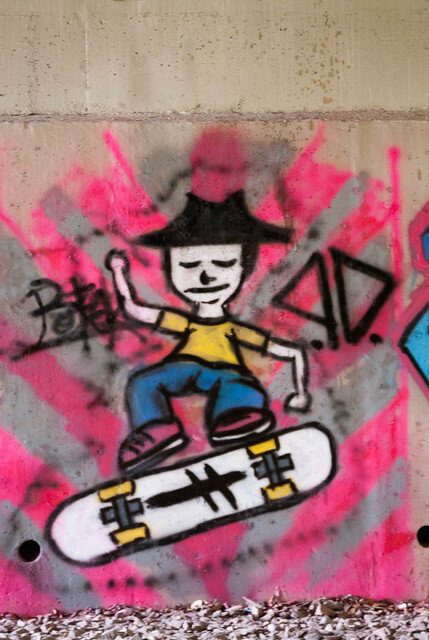 A short walk brought us to the much talked about graffiti under the North Buona Vista Road flyover. 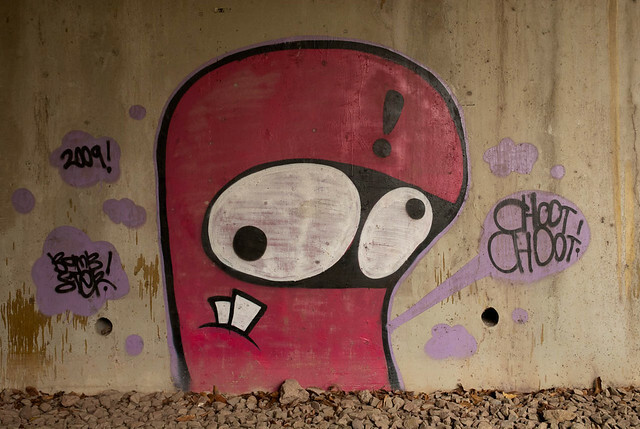 There are a number of them painted onto the walls below the flyover, including this cute little creature. 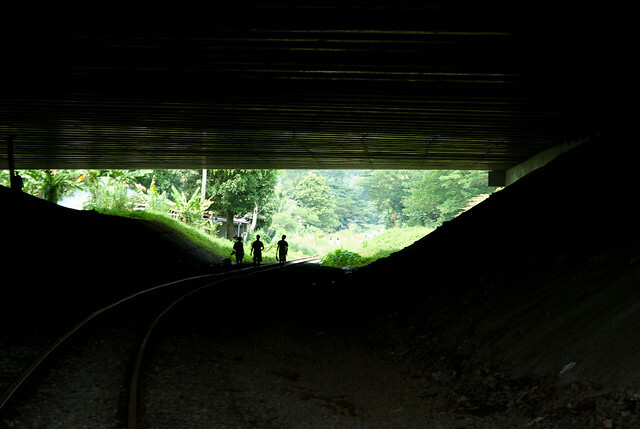 As we exit the tunnel below the flyover, a MRT train travels across the now-defunct KTM railway lines in a blend of old and new. 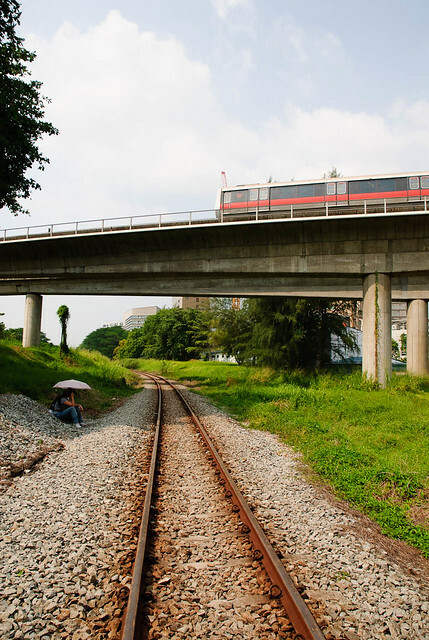 A MRT train crosses over the now-disused KTM railway track. 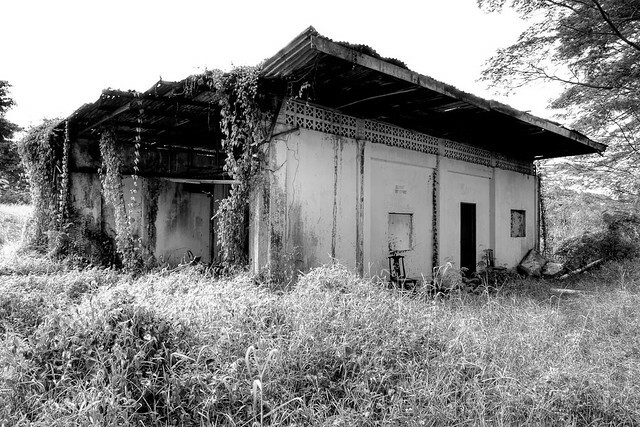 A short distance further up, near Tanglin Halt Road, we came across this abandoned building that looked like a sort of a workers’ quarters for the KTM staff. There were signs of a concrete platform as well, so this is very likely part of the Tanglin Halt station. In fact, the name Tanglin Halt was derived by the presence of the railway station in the days of old (hence the world “Halt”). 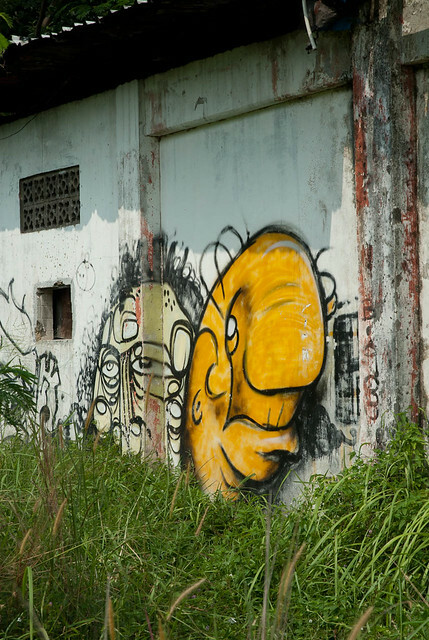 Having been abandoned for possibly a very long time, it’s missing a wall and is overgrown with crawlers and grass. We trudge through the grass to have a closer look at what’s inside. 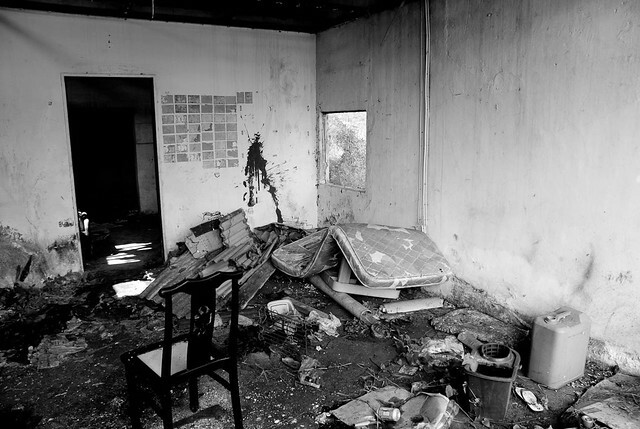 A large pile of rubbish lies in what’s probably the living room of the house. 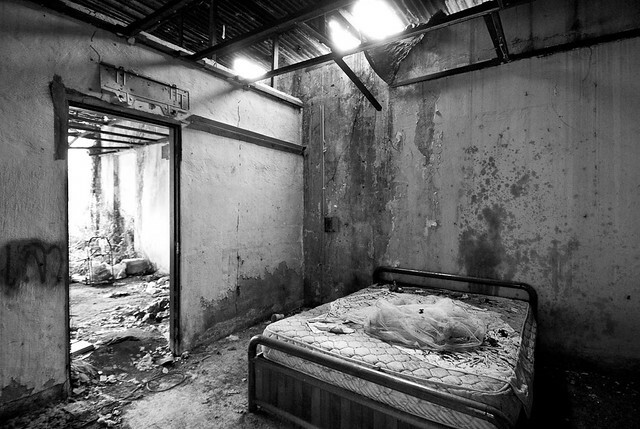 The bedroom with an abandoned bed. 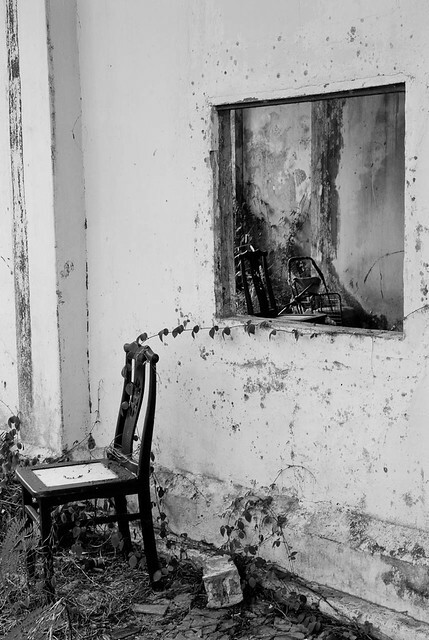 Abandoned chair outside the house. 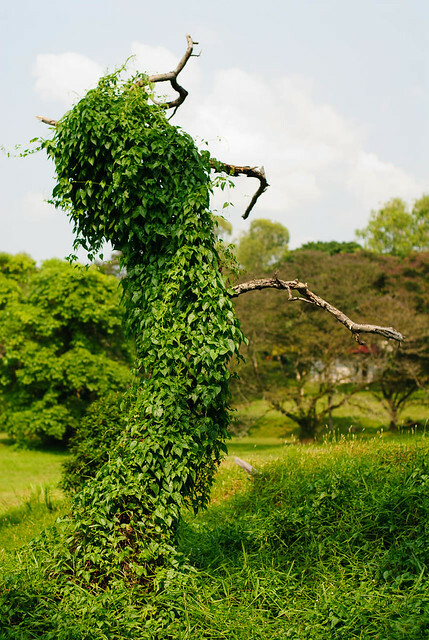 A creeper has started to grow on it. 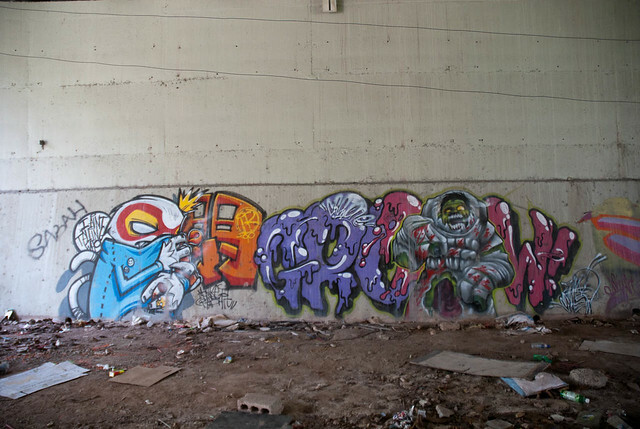 Brightly coloured graffiti adorns the front wall. 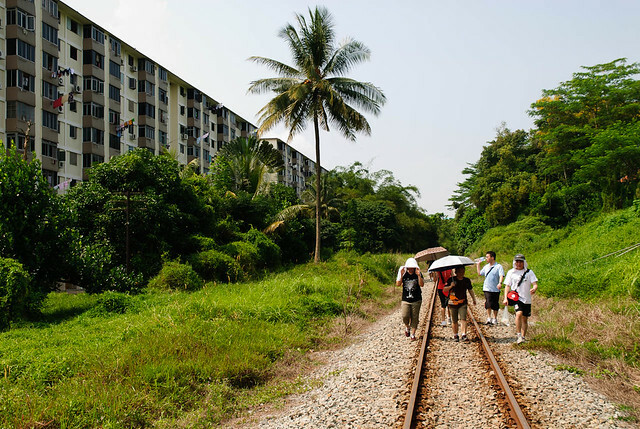 Continuing our trek southwards, we come to a section of the tracks near Commonwealth Drive. It is rather intriguing to find a coconut tree in this part of Singapore, near a HDB estate. 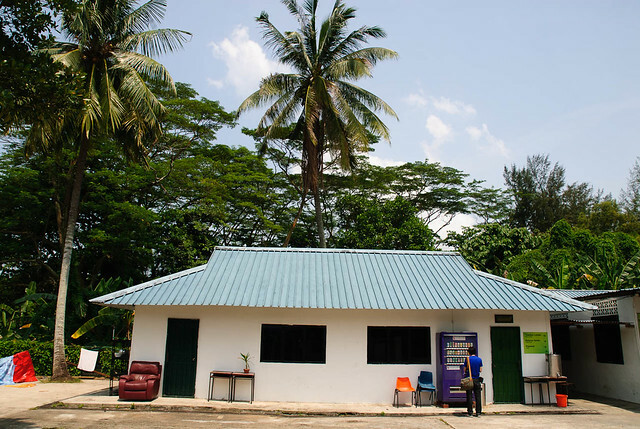 Usually we only see coconut trees in kampung areas which have all but disappeared from Singapore as we continue to progress and urbanise. A coconut tree along the tracks near Commonwealth Drive. Near the coconut tree is also a well used shortcut to/from Biopolis, and many people take this shortcut to get to work or to go home after work. 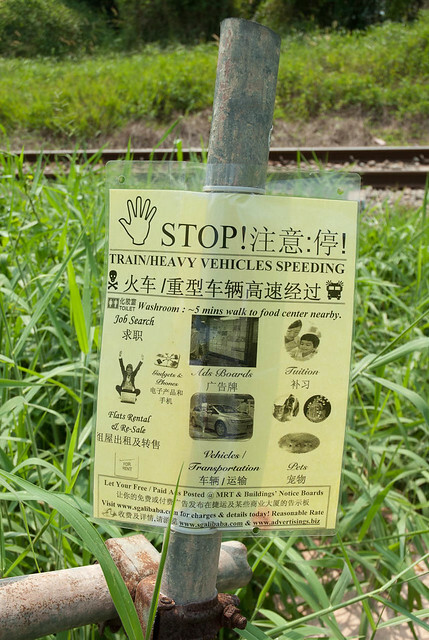 A self-made sign was posted, warning people of the danger of crossing the (then live) railway tracks and serve as advertising as well. Helpfully there are also directions to a public toilet nearby! Such is the spirit of the community. Continuing down the stretch of greenery brings us to this green monster. 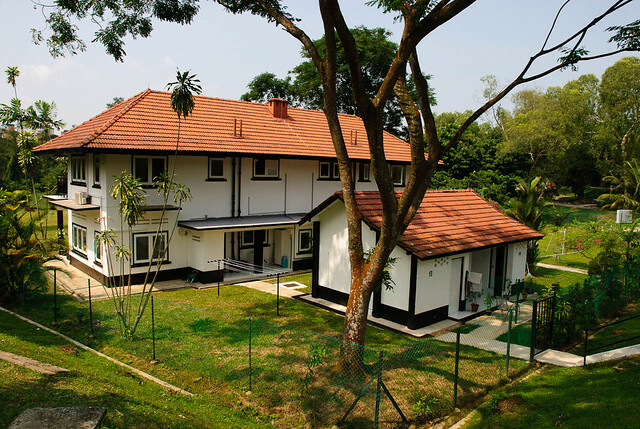 This also brings us to the Wessex area, where there are several colonial-style bungalows. I can imagine it would be very nice to live in such a place, surrounded by nature and with such a big expanse of land. We took a short break from the now-sweltering at the coffeeshop at Commonwealth Green. 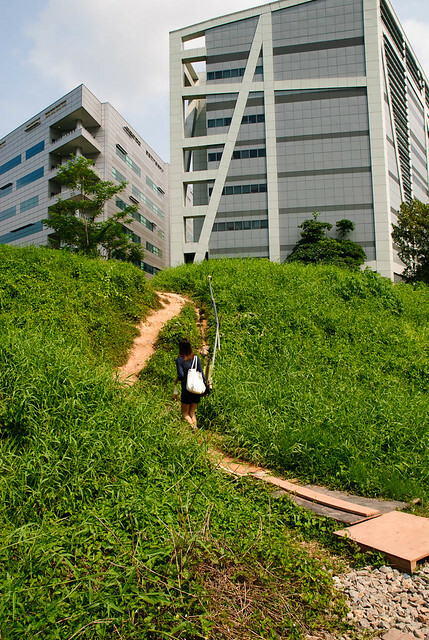 True to its name, it’s surrounded by much greenery. You never find housing estates like this anymore. Old flat in the aptly named Commonwealth Green. 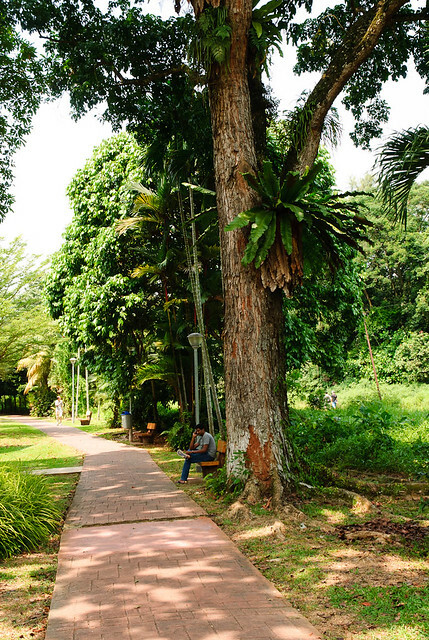 The estate is surrounded by lush greenery. 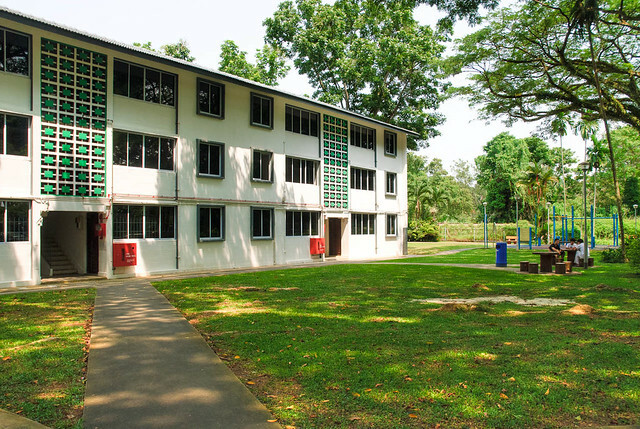 A walkway at Commonwealth Green estate running parallel to the railway track. 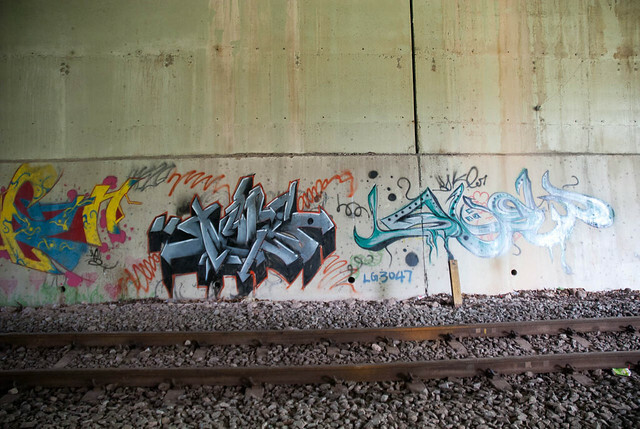 Continuing down the path, we go under the Portsdown Ave flyover. I just had to take this photo of the 3 silhouetted figures walking into the light. At the end of the “tunnel” is a row of abandoned houses. Commonly seen in the old days in kampungs, these are a rare sight now. 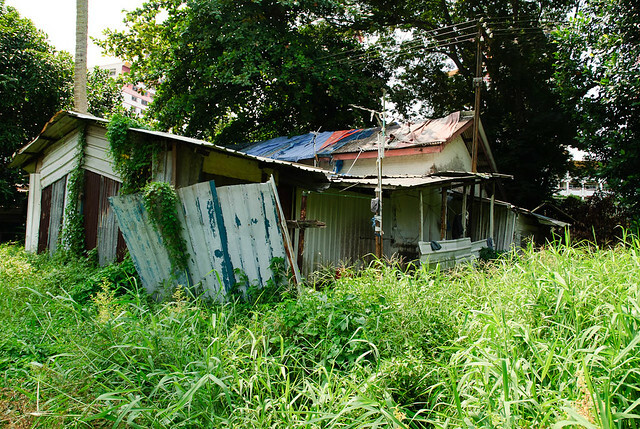 I wonder if they were built illegally by squatters when the railway land still belonged to Malaysia and later abandoned. And finally, we reached out end point where the Masjid (mosque) Hang Jebat is. Located along Jalan Hang Jebat near the railway, it’s a little nondescript mosque. Coconut trees complete the rustic feel. The muslim devotees must have had a sense of peace when praying there, being in such a green and quiet environment. 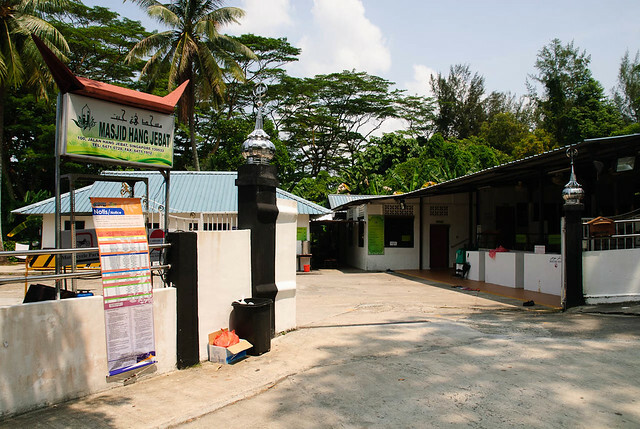 Masjid Hang Jebat. Below the signboard is a large board with the updated train schedules. Masjid Hang Jebat and the railway track. And with that we decided to call it a day. After experiencing that much of the green corridor, I hope it’ll be preserved. 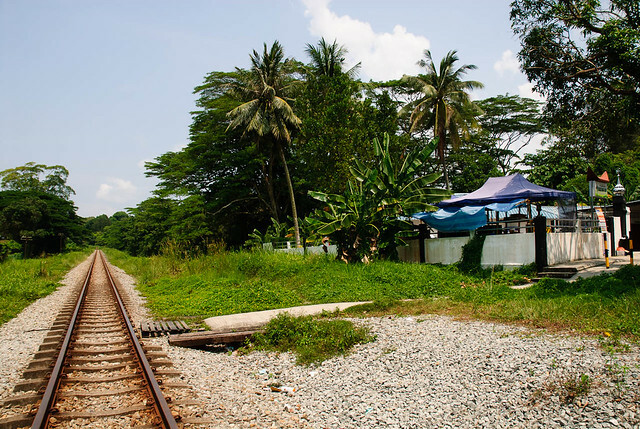 Sadly, I don’t think the railway track will remain as they are to be returned to Malaysia, but at least hopefully the greenery will still be there. Much of the stretch of railway land would have been closed to the public by now, apart from the 3km stretch from Rail Mall to Rifle Range Road. Do drop by and enjoy the scenery before that is closed as well. And don’t forget to support the Green Corridor proposal by liking them on their Facebook page.